Social Determinants of Health Alliance - What Are SDoH? According to the World Health Organisation, the social determinants of health are the conditions in which people are born, grow, live, work and age, including the health system. These circumstances are shaped by the distribution of money, power and resources at global, national and local levels. The social determinants of health are mostly responsible for health inequities - the unfair and avoidable differences in health status seen within and between countries. As the 2011 World Conference on the Social Determinants of Health outlined, structural mechanisms that affect the differential social positions of individuals are the root cause of health inequities. Inequities in health arise because of the circumstances in which people grow, live, work, and age, and the systems put in place to deal with illness. The conditions in which people live and die are, in turn, shaped by political, social, and economic forces. Closing the health gap requires concerted action across sectors by national governments, the World Health Organisation, United Nations agencies and civil society organisations. 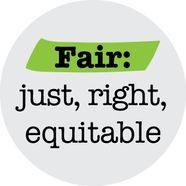 Better health and its fair distribution should be adopted as shared goals. 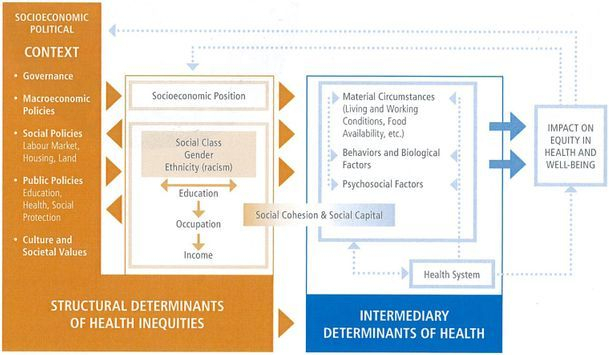 The diagram below was used by the Commission on the Social Determinants of Health to guide its recommendations. Click on the diagram to see a larger image.